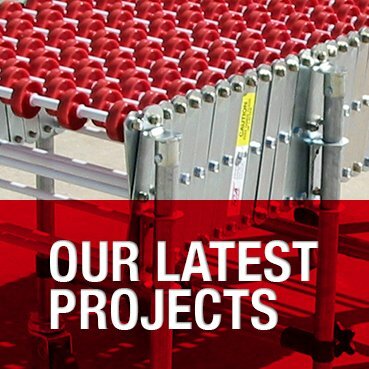 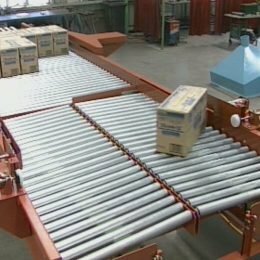 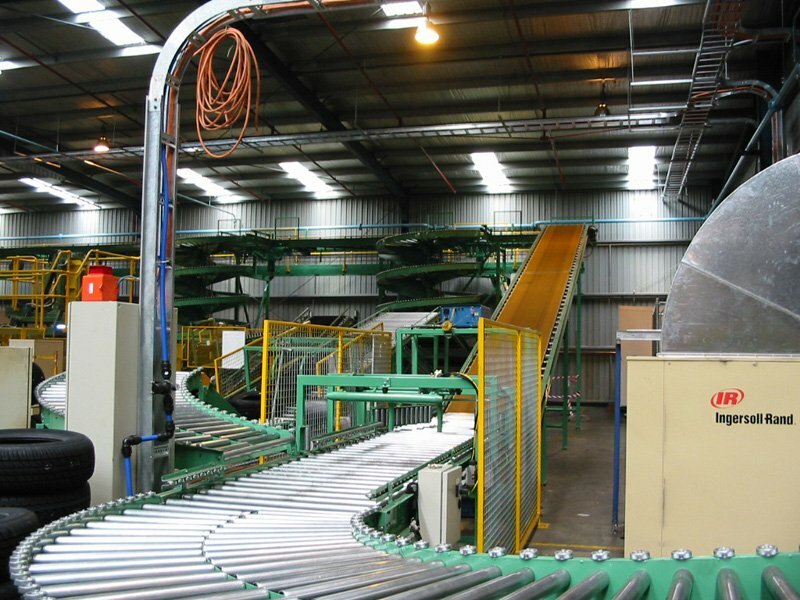 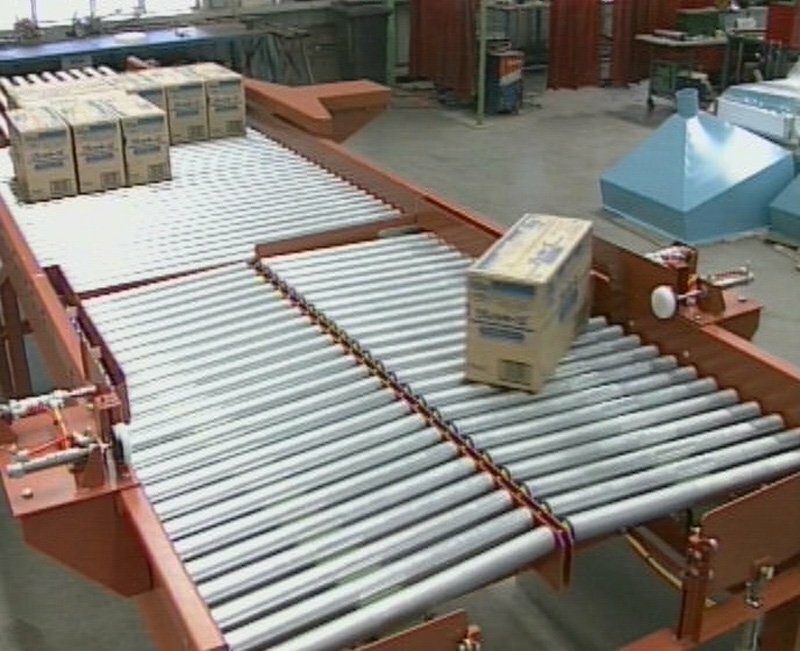 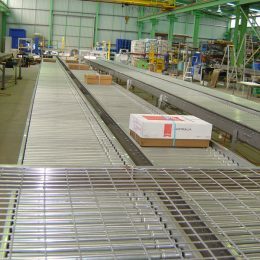 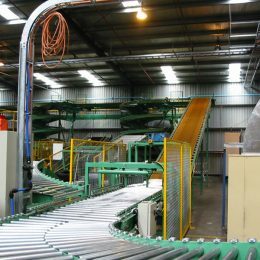 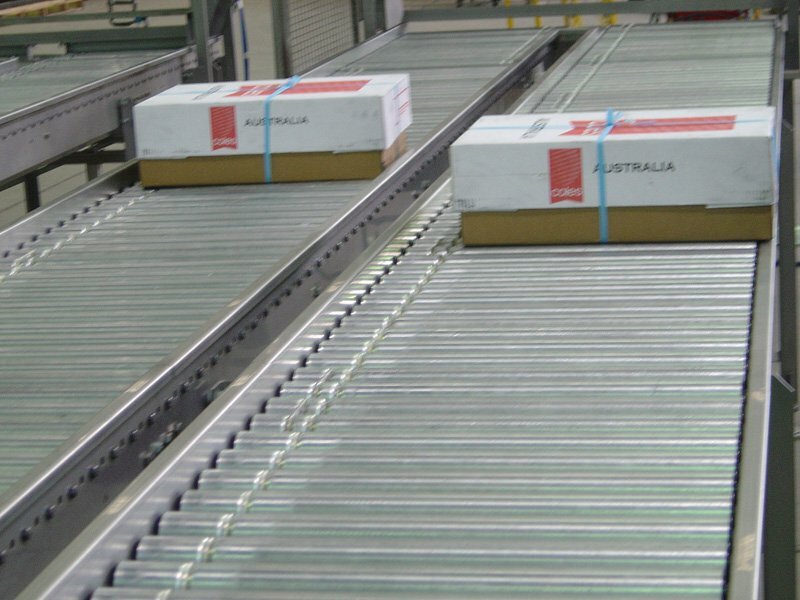 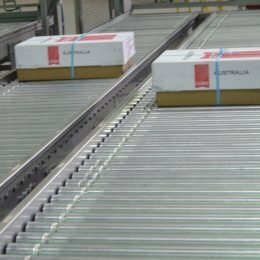 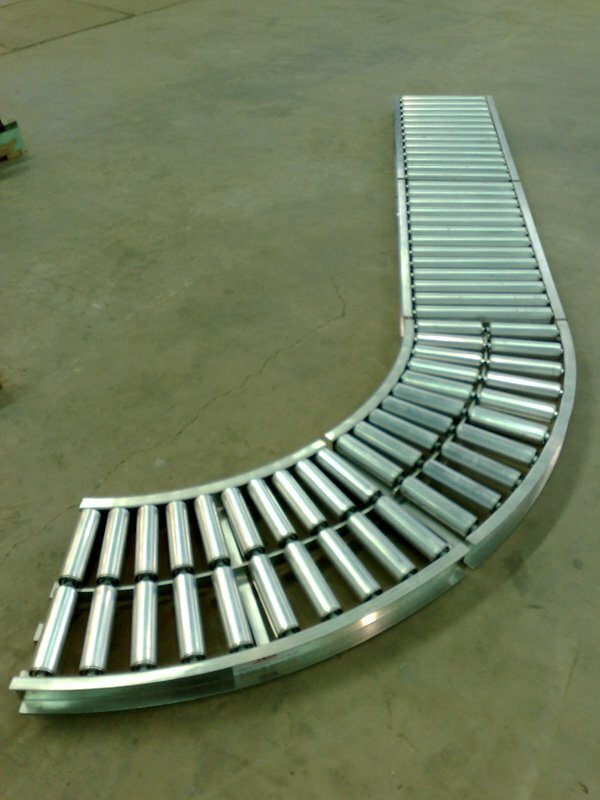 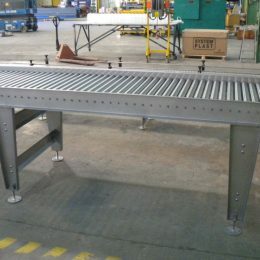 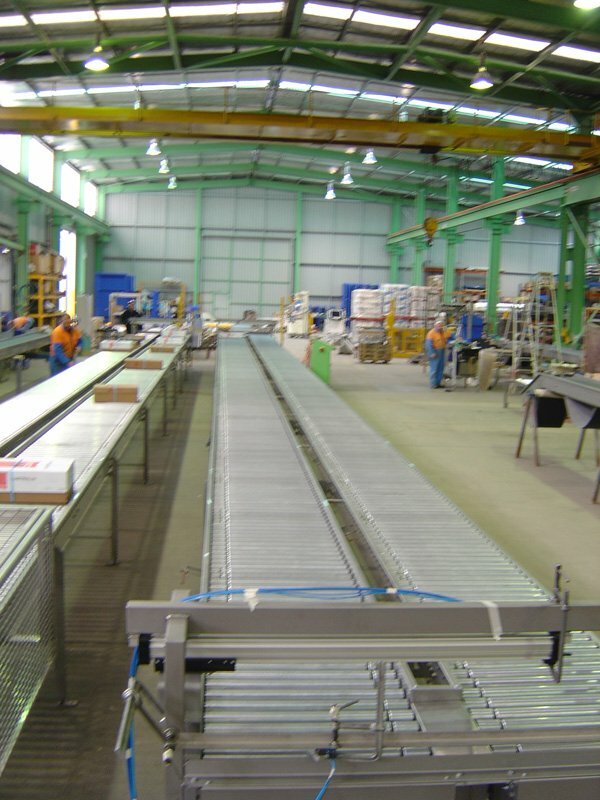 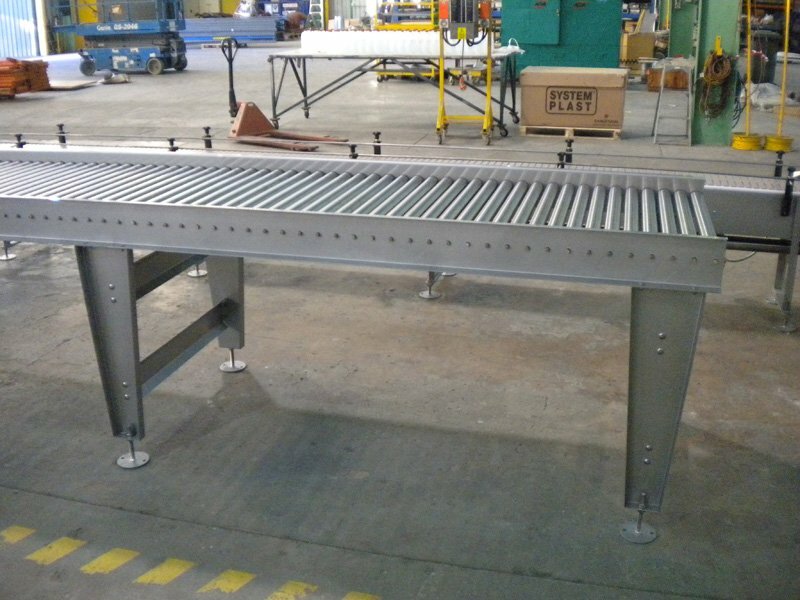 Powered roller conveyors are used for moving, sorting, diverting and transporting products at low or high speeds. 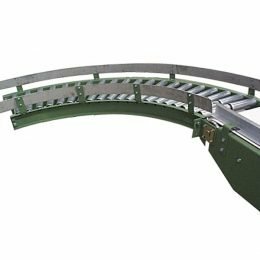 In the form of straights, curves, ‘y’ junctions to divert, stop and speed-up when and where required, according to the systems required. 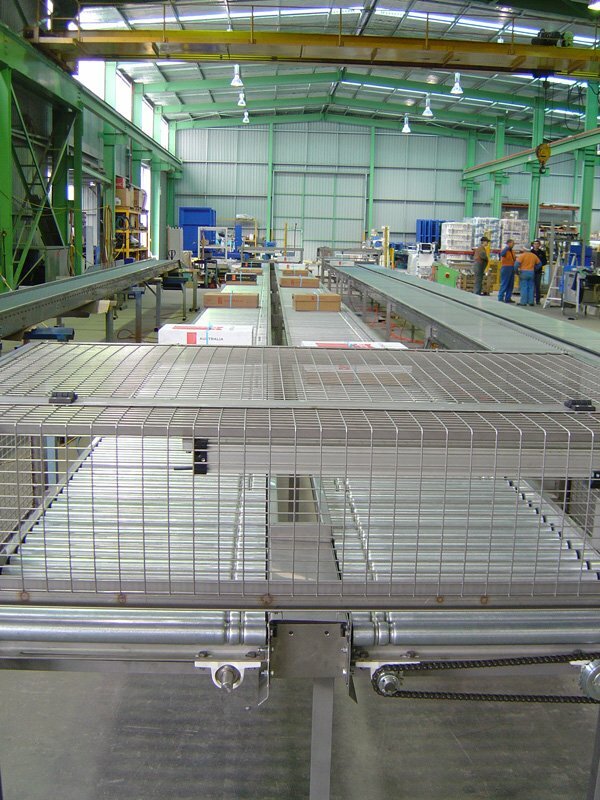 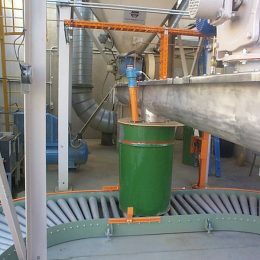 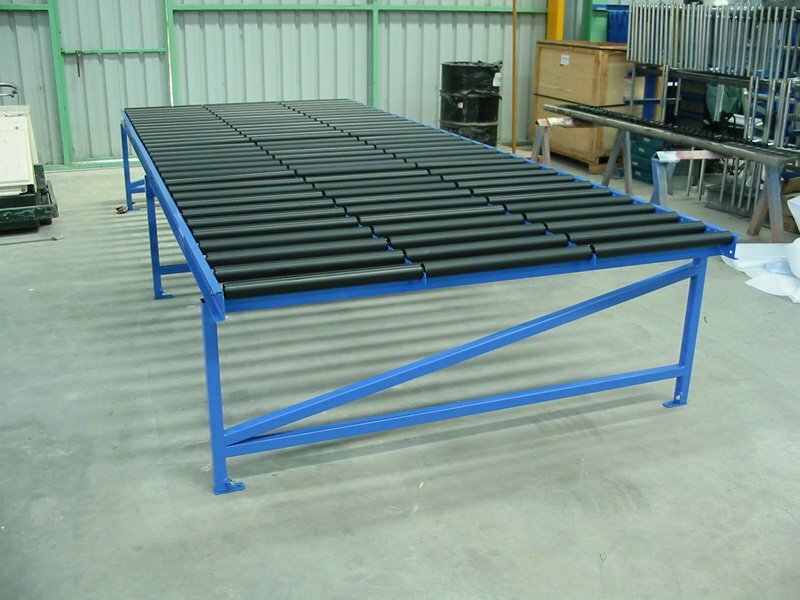 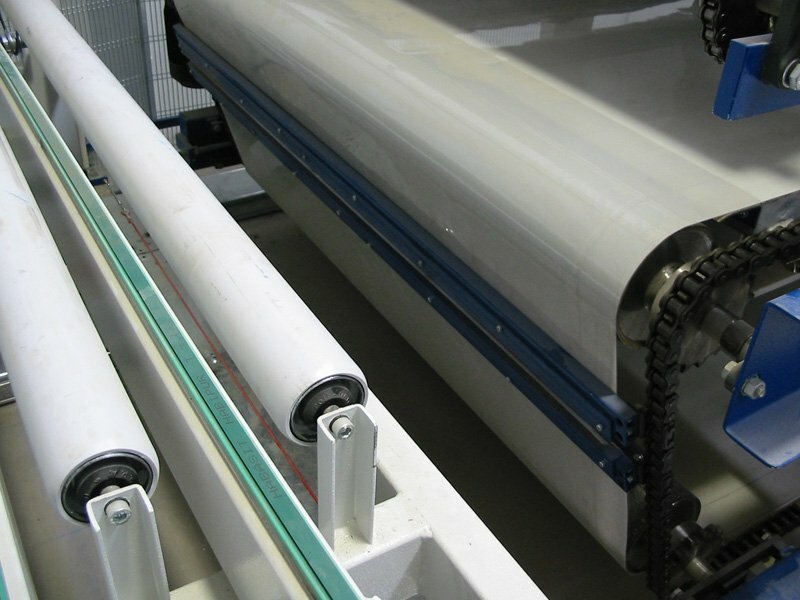 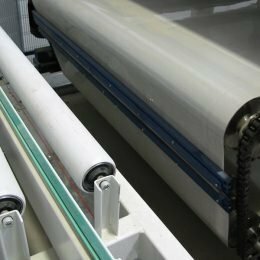 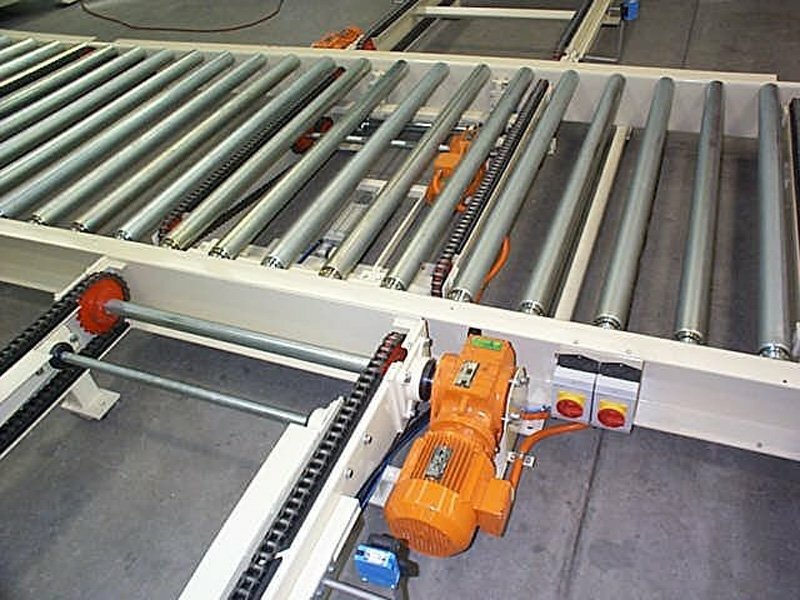 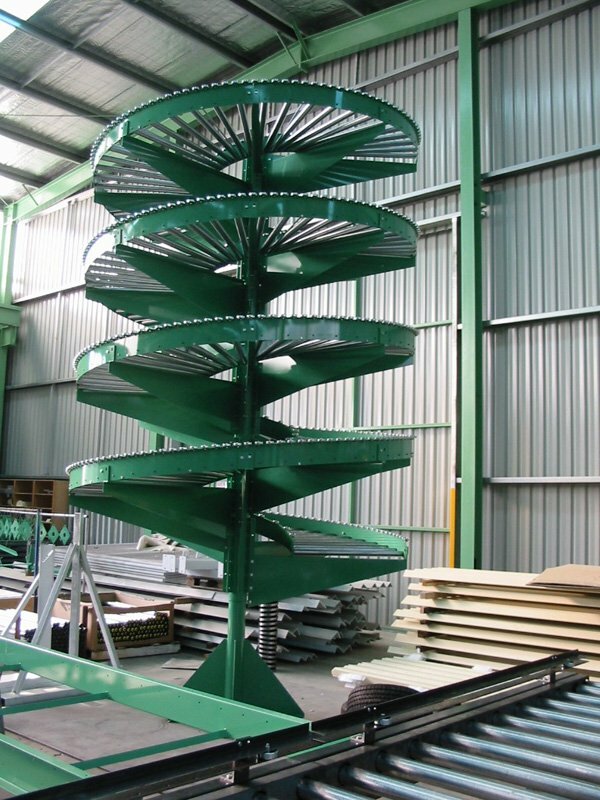 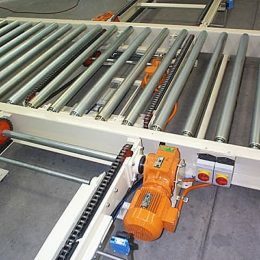 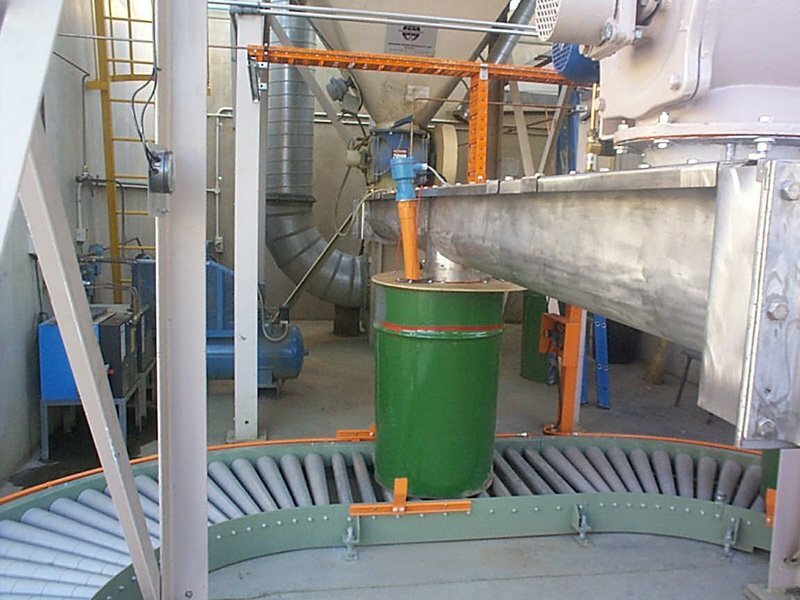 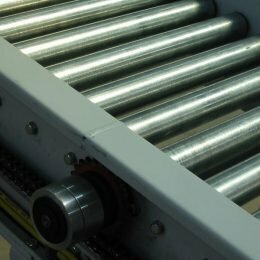 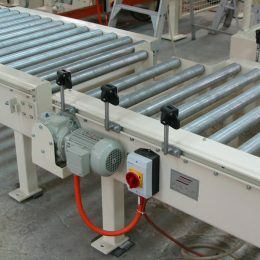 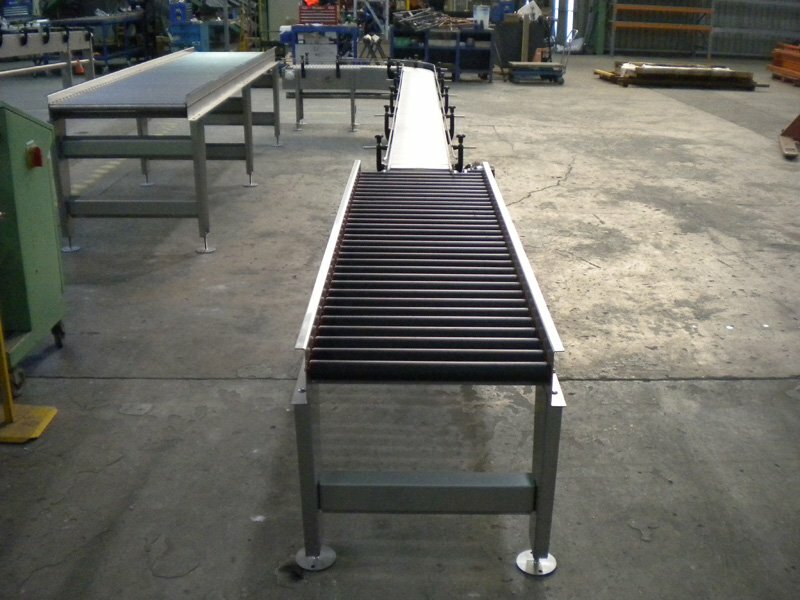 Powered roller conveyors are powered with a small motor incorporated into the roller. 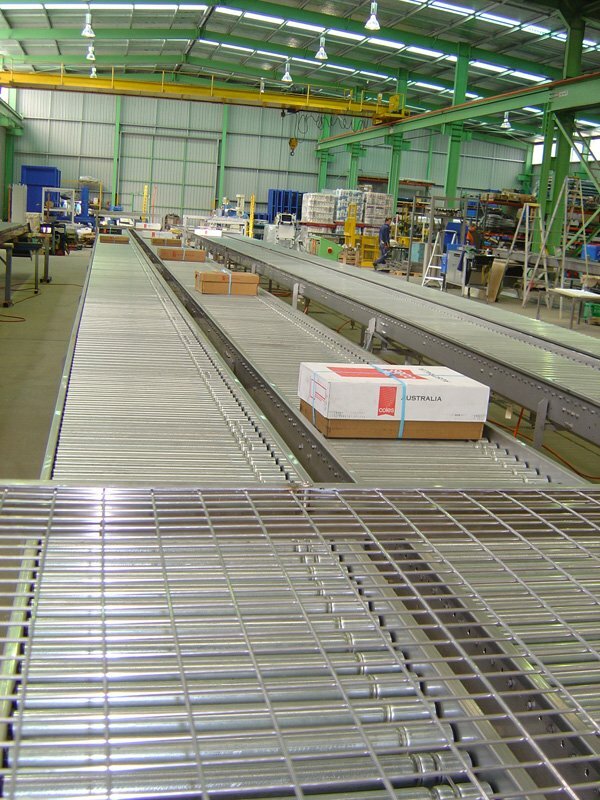 Generally utilised for lighter loads. 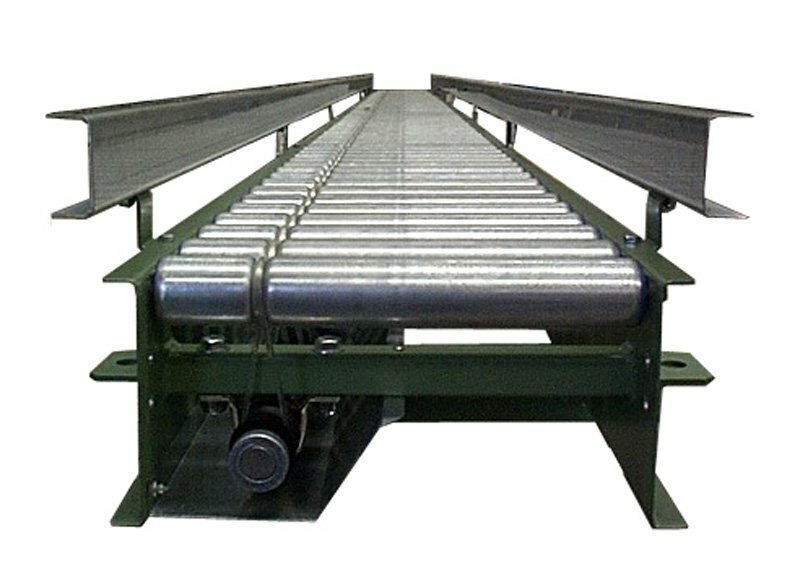 Interlinked chain drive, where the rollers have dual sprockets at an end and rollers are linked via chain to another roller or a drive. 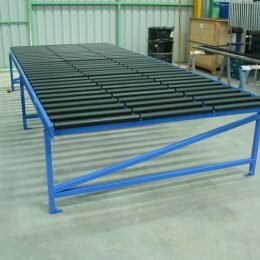 Generally used for heavier loads. 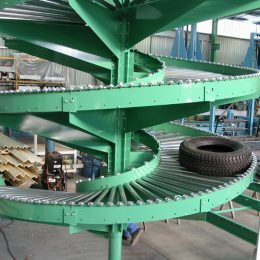 Tangential drive, where the rollers have single sprockets at one end, which engage into a single chain. 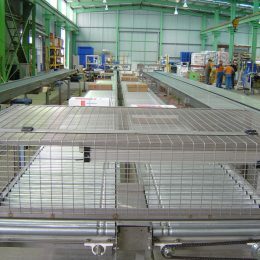 A more economical configuration used for lighter loads. 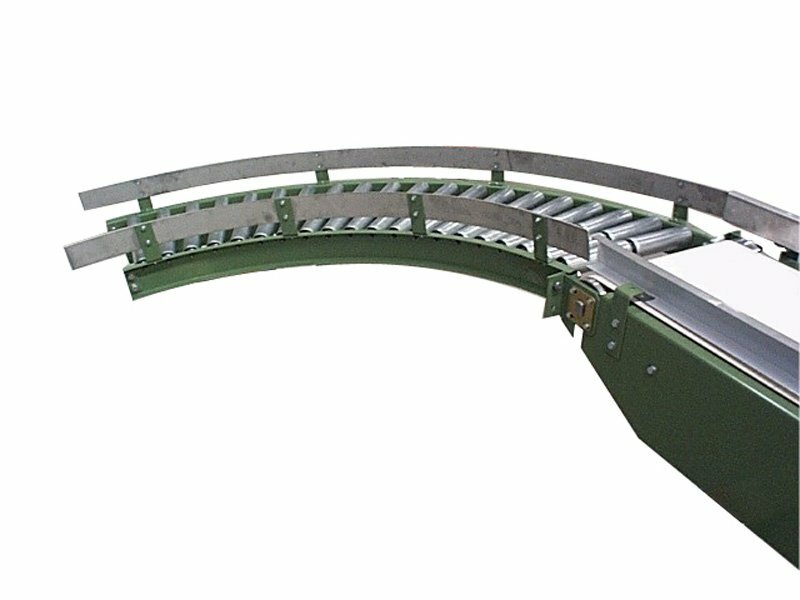 A band driven roller, where the roller has a groove for the band to sit within. 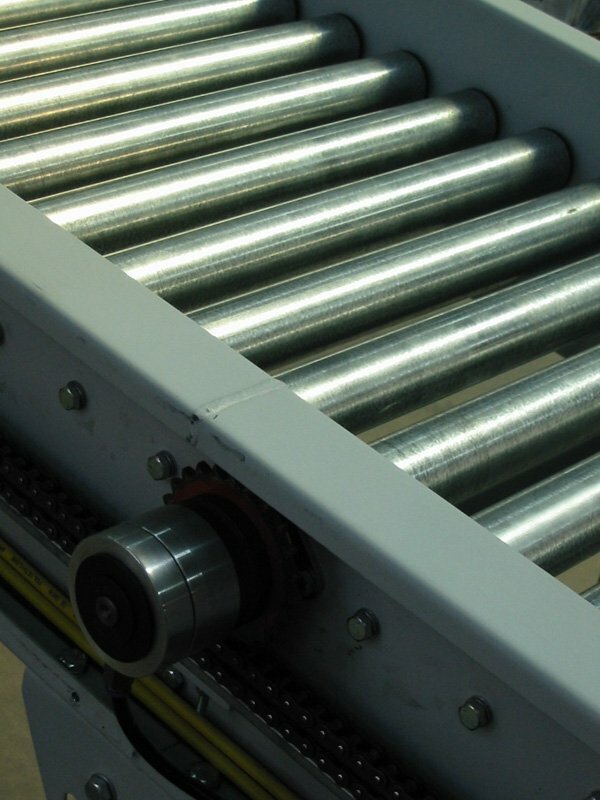 The band also wraps around a spool on the drive shaft to drive the roller. 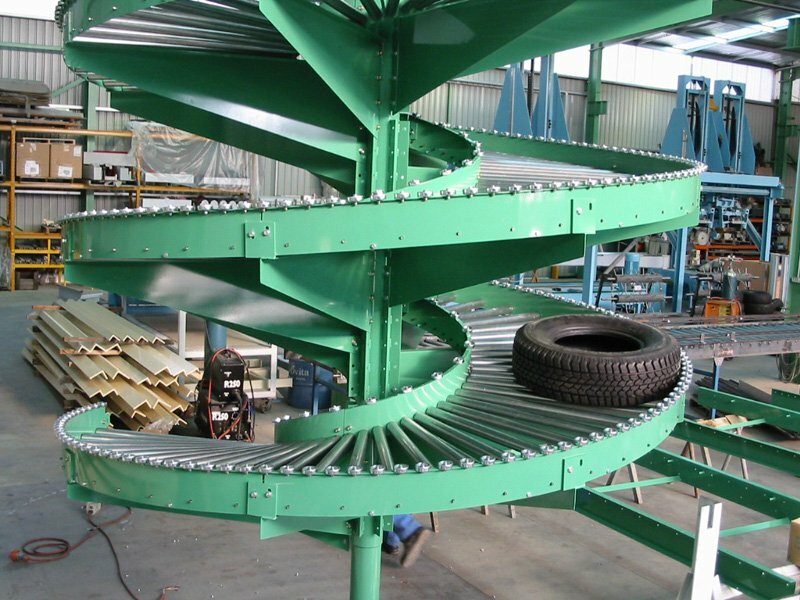 Generally used for lighter loads. 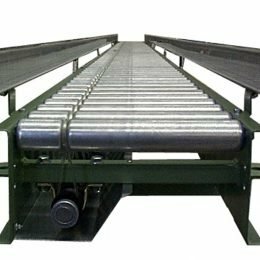 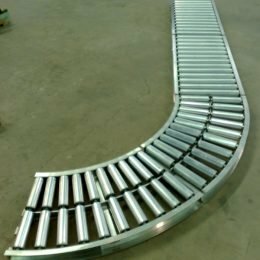 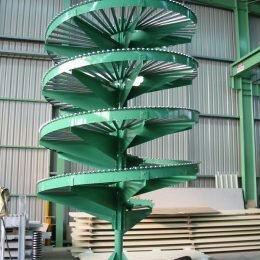 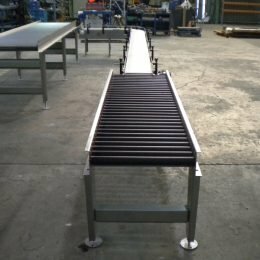 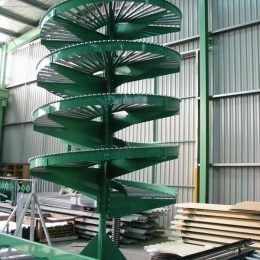 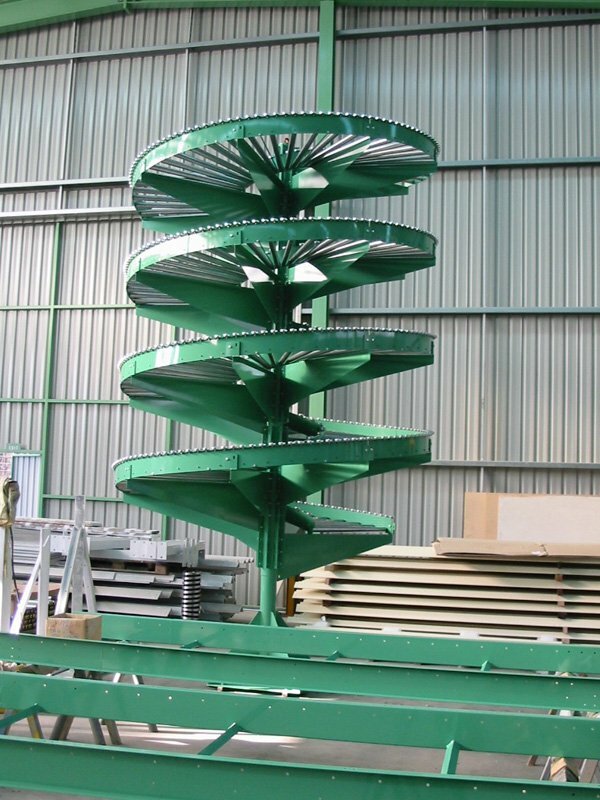 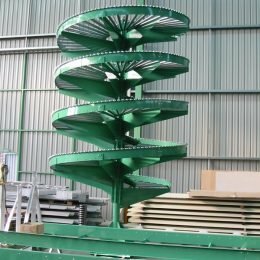 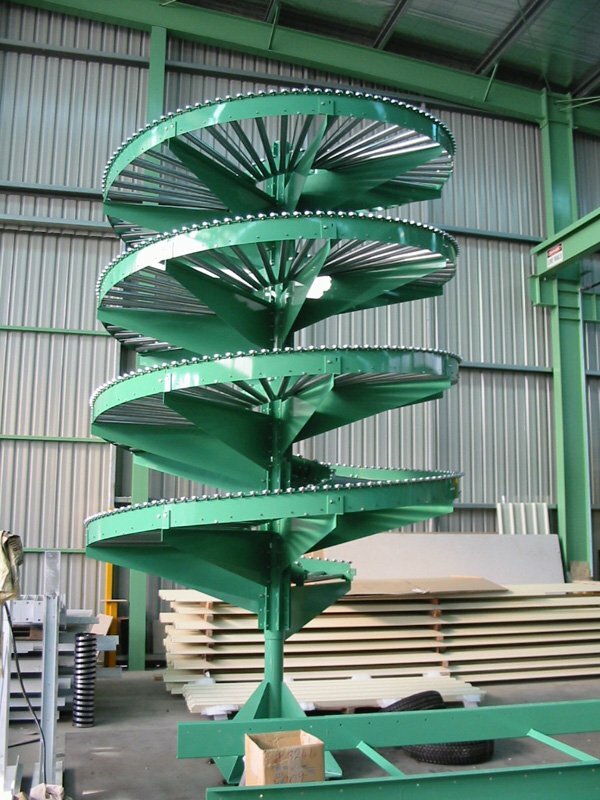 Low-pressure roller conveyors are achieved through either clutched sprocket arrangements or by means of a “free” rotating roller shell. 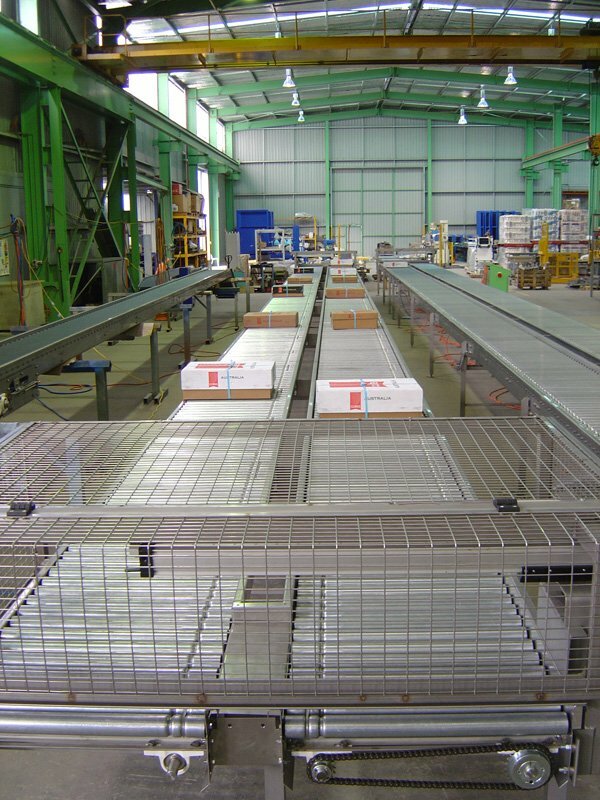 An economical and efficient means of transporting product where power is not required. 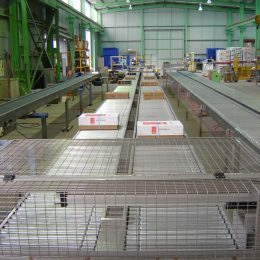 Easily installed, dismantled and relocated. 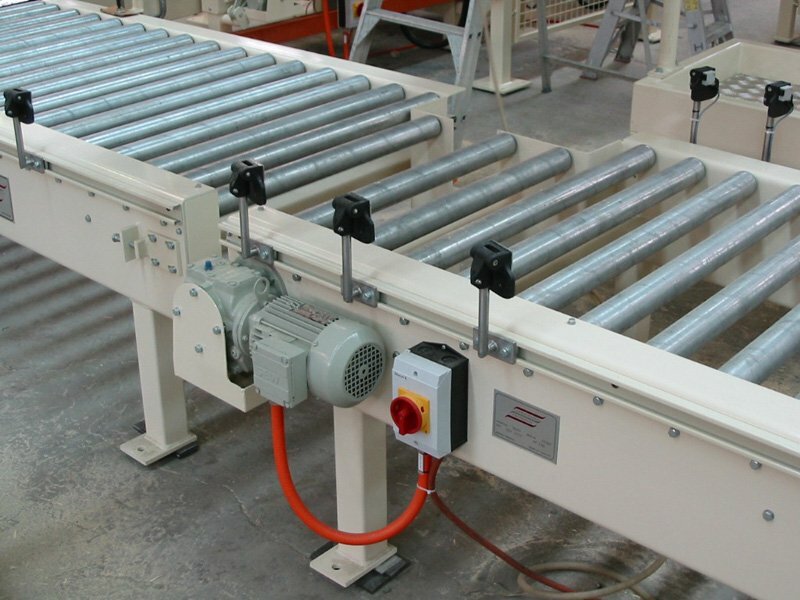 Modular systems are available for a variety of applications to provide gravity flow for boxes, drums, bags, or bales. 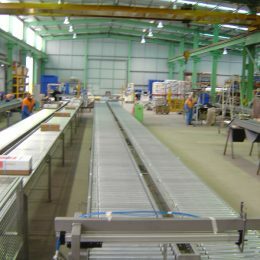 A large variety of widths and lengths available.